Howard Manas is an independent general agent representing only the companies that are the tops in their field in order to find the right solution for your needs. 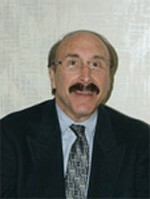 Howard has been in the business for over 50 years, starting his practice in Chicago and relocating to Sterling, Loudoun County, Virginia, in October,1972. Treating every person as an individual with specialized wants and needs, Howard's specific recommendations are ALWAYS in the client's best interest. Through these organizations, Howard has performed countless hours of community service since February, 1974 as well as supporting numerous charities.